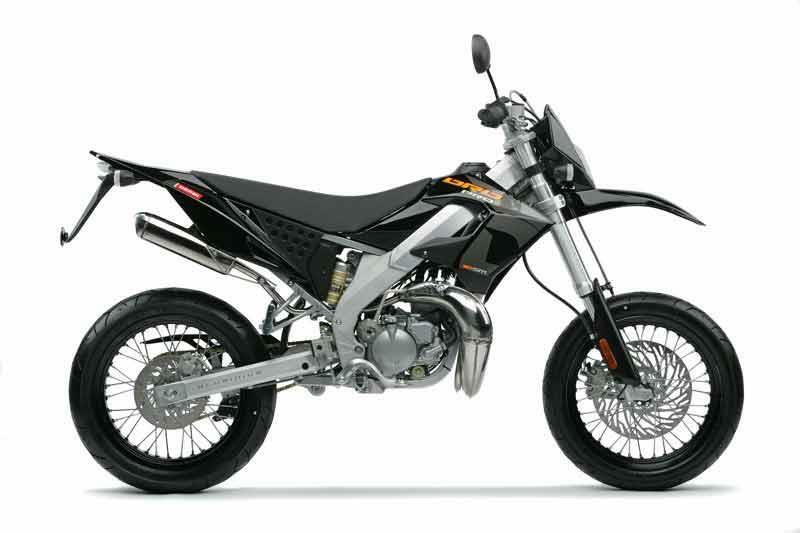 The Derbi Senda 50 has been around for over 10 years and many 16-year-olds - especially taller riders - really like its enduro motorcycle looks, decent handling chassis and revvy two-stroke motor. 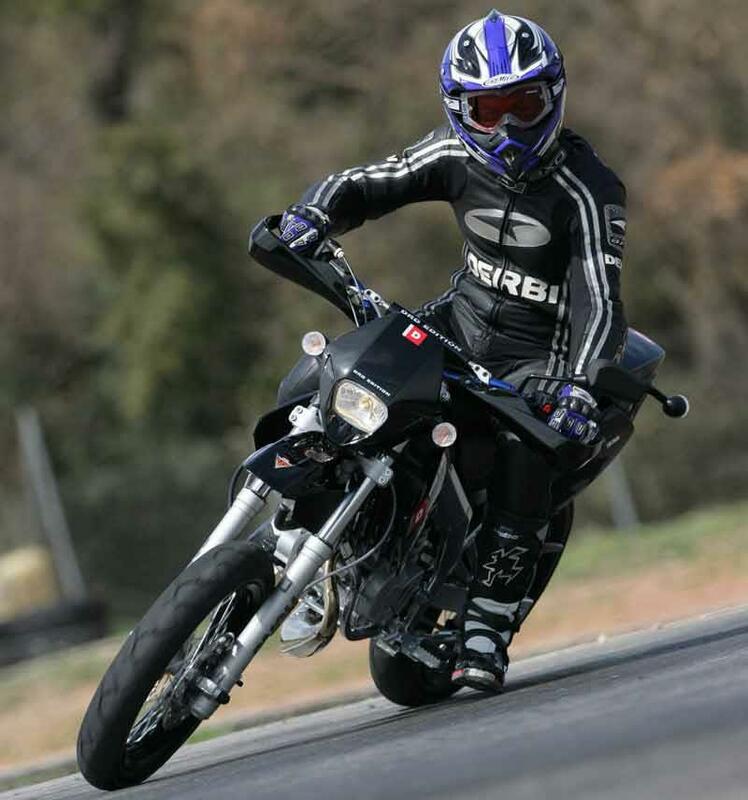 The 2000 onwards Derbi Senda 50 features an all new alloy beam frame, and in 2005 a range of extra versions, including Derbi Senda Xtreme, Derbi Senda Supermoto, Derbi Senda DRD Pro and Derbi Senda Racing in 50cc sizes and a Derbi Senda 125 four stroke Supermoto/enduro. Modern Senda's are road biased motorcycles, but still good fun. There are several versions of the Derbi Senda 50 on the market, with a Supermoto model, a DRD Limited Edition featuring gold anodised Marzocchi forks and the Xtreme 50R, which has spoked wheels, MX mudguards and knobbly tyres for off-road action. 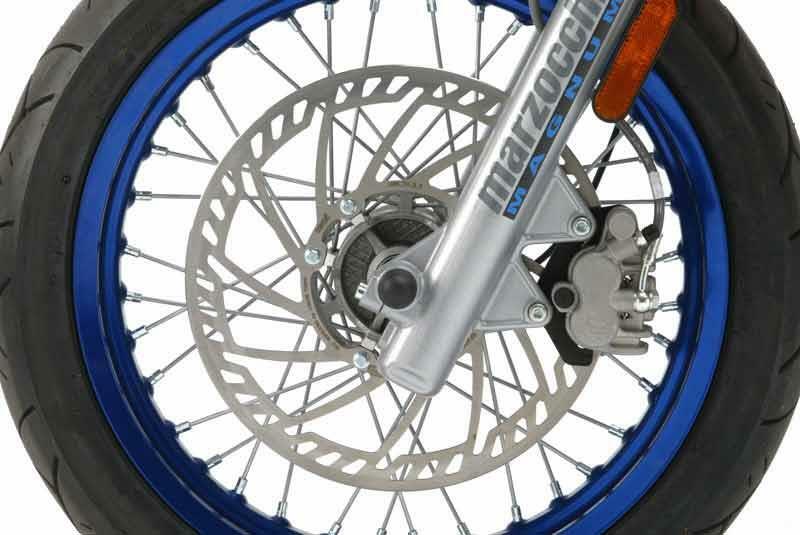 All share the same basic alloy beam frame and lengthy swingarm, although brakes, suspension and wheels differ on each model and the handling is excellent for a 50cc machine. 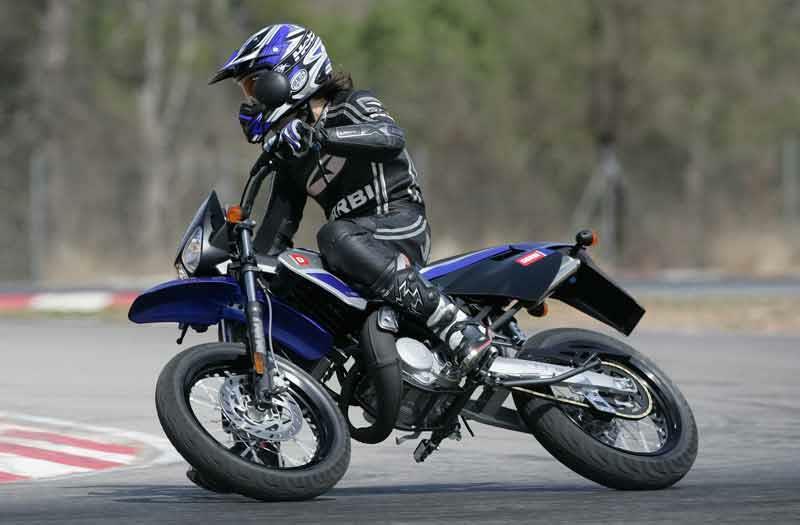 The Derbi Senda 50 has a lively enough motor, at least in de-restricted mode, which is how most 16 year olds would want to ride this motorcycle. The modern Derbi Senda 50s can hit nearly 60mph on a good day, which is fast enough to put a smile on your face. 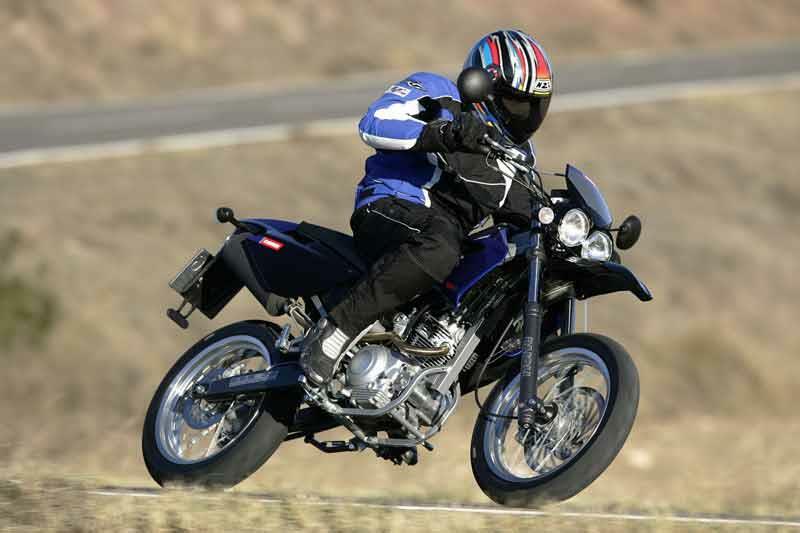 The older Derbi Senda 50 could hit 50mph flat out and was more than competent on the dirt too. Sadly the UK laws require a 30mph top speed, which makes the restricted 6 speed Derbi Senda 50 hard work to ride. 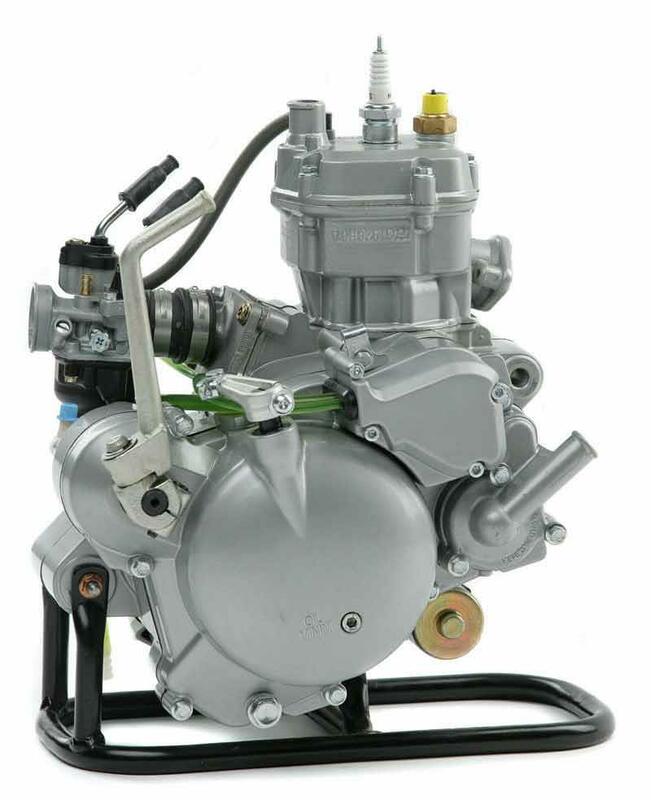 Tough, reliable water-cooled engine though. The post-Piaggio takeover Derbi Senda 50 models are in a different league to earlier motorcycles, with much improved build quality. 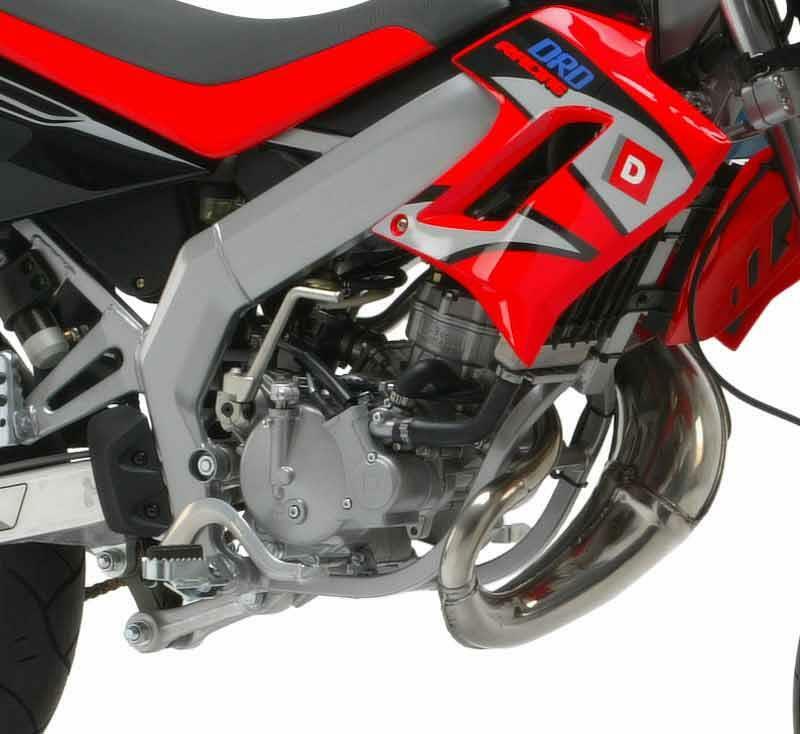 There are top class suspension and braking components on the Derbi Senda 50 range and some details like the chrome exhaust on the DRD Racing SM are way above the average standard for the 50cc motorcycle class. There's just one problem when you turn 16 years of age and want one of these funky mopeds - the cost. 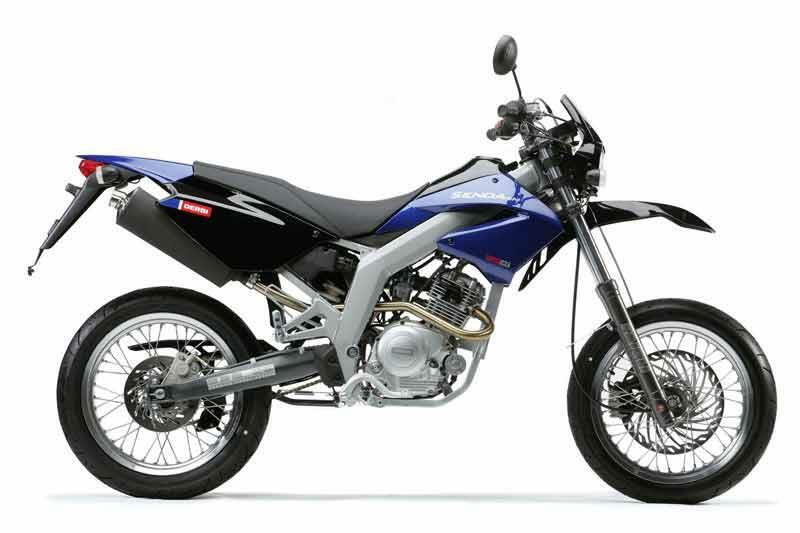 At around £2500 the Derbi Senda 50 range are way beyond the financial reach of most sixteen year olds. The Derbi Senda 125 bikes are only slightly more dosh, but £2800-ish is still a fair sum for a new 125 trailie. No matter how good the quality of the Senda's ride is, you just know that a cheap internet trailbike for half the money is gonna tempt some. Find a Derbi Senda 50 for sale. Insurance group: 3 of 17 – compare motorcycle insurance quotes now. 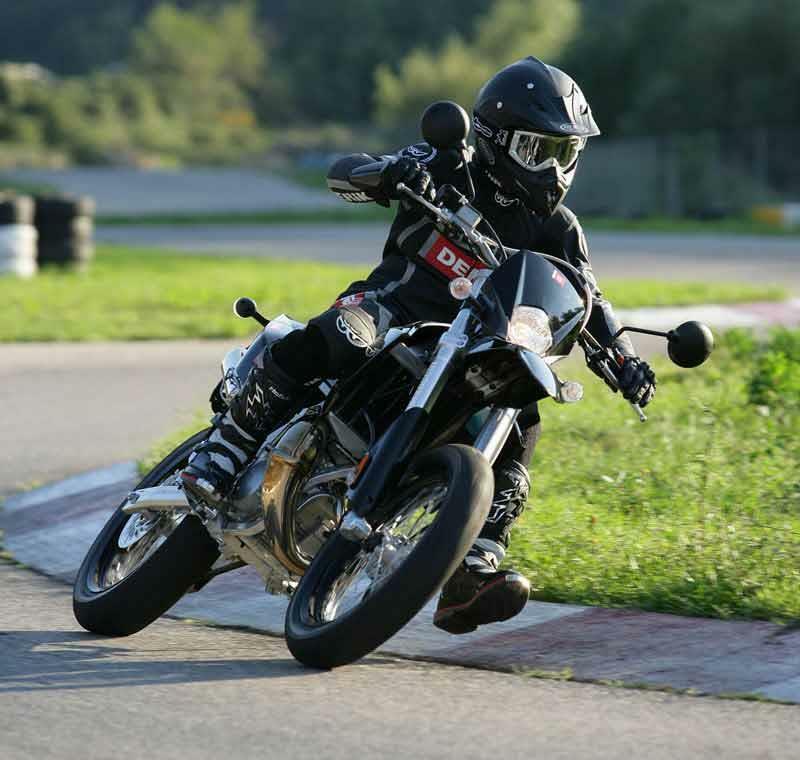 Some models of the Derbi Senda 50 motorcycle, like the Derbi Senda Xtreme Supermotard, with its moody black paint, twin headlight nose fairing and stylish dashboard, really look stunningly featured motorcycles - any teenager would be proud to own one. Others, like the Derbi Senda 125 R are more basic, rugged all-rounder motorcycles, but still have details like a luggage rack, twin headlights and twin mirrors. 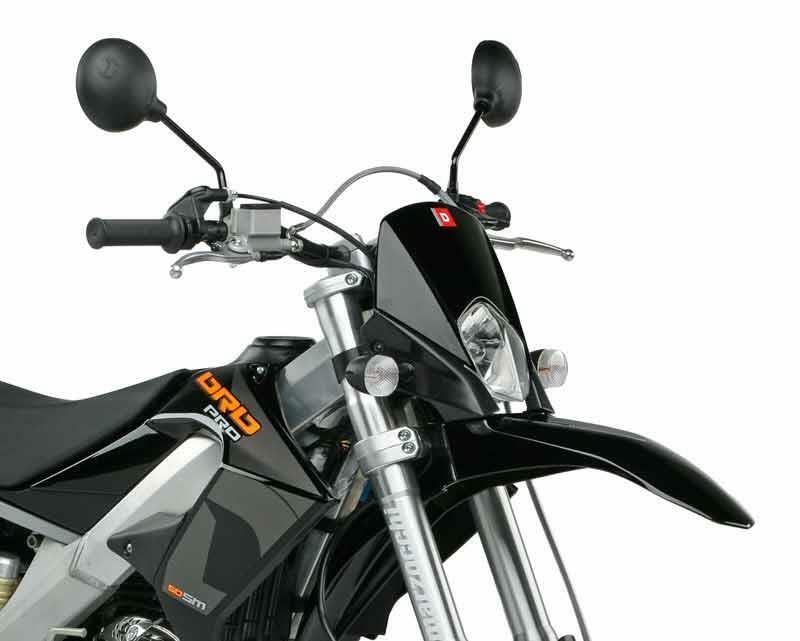 Overall, equipment is good on all the Derbi Senda range. 1993: Derbi Senda 50 launched. 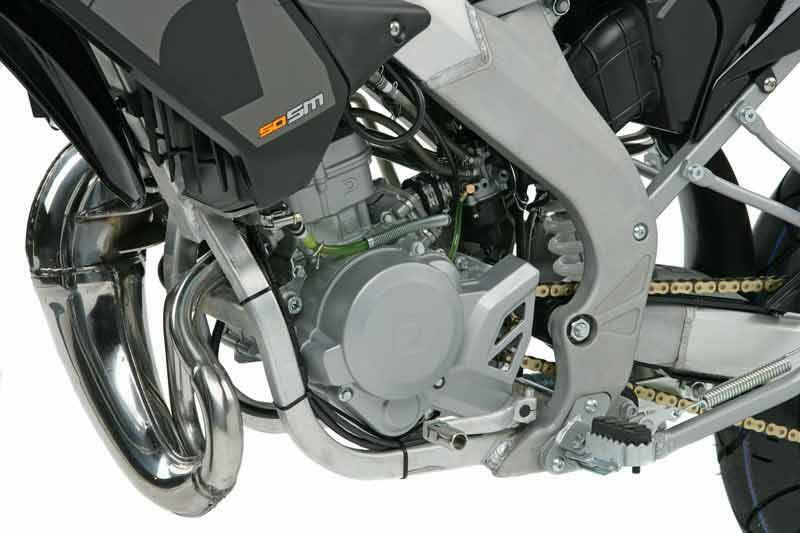 1995: Derbi Senda 50 gets 6 speed gearbox. 2000: New alloy beam frame replaces steel tubular. 2001: Derbi Senda Supermoto appears. 2004: Piaggio buy out Derbi. 2005: Derbi Senda Xtreme, Derbi Senda DRD, Derbi Senda Supermoto 50cc models launched, Derbi Senda 125R and Derbi Senda SM models too. Derbi Senda 125R: 124cc, 12bhp version. 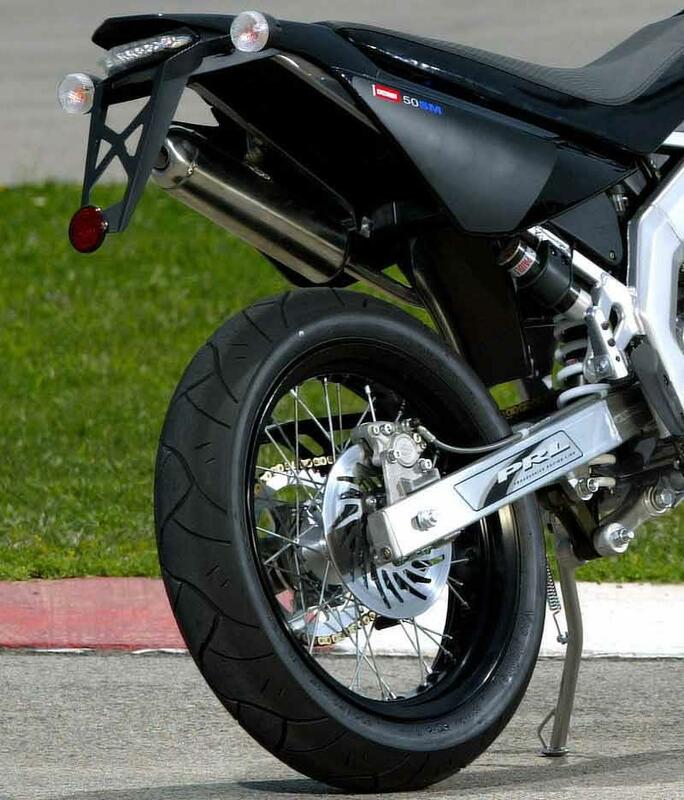 Derbi Senda 125SM: Smaller wheeled, street-tyred, 'supermoto' version of 125. 4 owners have reviewed their DERBI SENDA 50 R (1993-on) and rated it in a number of areas. Read what they have to say and what they like and dislike about the bike below.